On April 30th, the Minister of Environment and Climate Change Canada released the first ever section 63 report under the Species at Risk Act, (SARA), where the Minister found that outside of protected areas, provinces and territories have failed to protect almost all of boreal caribou critical habitat. Seven environmental groups from across North America welcome the report’s release and are concerned by its findings. This marks the first time the federal government has released one of these reports updating the public on at-risk species protection as required by law. The public has a right to know whether provincial and territorial laws are protecting critical habitat for boreal caribou. This is an important step toward increasing transparency. As concerned citizens, scientists and people on the ground expected, the results are troubling. the Government of Alberta announced that it was suspending efforts to protect areas identified as viable in an earlier mediation process. This must change. The groups call on all responsible provinces and territories to stop expansion of the industrial footprint in boreal caribou ranges that have exceeded 35 per cent disturbance, and take immediate steps to protect critical habitat. We expect provinces and territories to do this in partnership with Indigenous Peoples, fully respecting their knowledge and rights including the right to free, prior and informed consent (FPIC). There is hope in Canada, and it is coming from the leadership of First Nations and other communities. For example, Fort Nelson First Nation completed a Boreal Caribou Recovery Plan for their territory called the Medzih Action Plan. Doig River First Nation identified priority areas for caribou habitat restoration based on Indigenous knowledge and science. The Cree First Nation of Waswasnipi have been waiting for years to resume negotiations with the Quebec government on their proposal to protect the Mishigamish, which includes critical boreal caribou habitat. We are also heartened by voluntary recommendations for creating a sustainable economy recently reconfirmed by leaders in northeastern Ontario on the Abitibi River Forest that overlaps with boreal caribou in the Kesagami Range. There are all examples of good work being done across the country. Provincial governments need to support and build upon them. The groups call on the federal Minister of Environment and Climate Change to fulfill her duties under SARA by, for example, continuing to issue timely section 63 reports for boreal caribou and begin issuing them for other species, and also by issuing safety net orders for critical habitat that remains unprotected. This backgrounder provides an overview of the state of caribou protections in Ontario, Quebec, Alberta, and British Columbia at the time of the release of the Canadian Government’s Progress Report on Unprotected Critical Habitat for the Woodland Caribou (Rangifer tarandus caribou), Boreal Population, in Canada (hereafter 2018 Progress Report). This backgrounder also includes information on the international marketplace’s call for Canadian governments to implement increased caribou protections. Boreal caribou in Ontario are in a decline. Today, only two of Ontario’s thirteen boreal caribou ranges have sufficient undisturbed habitat to sustain caribou in the long-term. The others are uncertain or insufficient. And latest disturbance information shows increasing disturbances in southern caribou ranges where there has been long history of industrial development along with a declining population trend. At current rates of decline, the species could be extinct in the province within the lifetime of children living today. Since 2008, the government of Ontario has failed to implement protections for caribou consistent with original intentions of the provincial Endangered Species Act (ESA). In October 2017, the Ontario government missed the federal government’s five-year deadline for protecting critical habitat. While Ontario has released a recovery strategy and other habitat guidance documents for caribou, these do not create any mandatory and enforceable protection for boreal caribou critical habitat. In April 2018, the Ontario government announced it was extending the exemption for forest operations from the province’s ESA for another two years. This exemption was originally enacted in 2013 and allows logging companies to harm or harass caribou and destroy caribou habitat, as long as they are operating under an approved forest management plan. The situation is bleak in Ontario and the ongoing exemption for the forest industry does not promote the recovery of species at risk. There are solutions being put forward that the government of Ontario needs to build upon like the work being done in northeastern Ontario by municipal leaders, First Nations, industry and environmental groups in the Abitibi River Forest to ensure a sustainable economy and healthy caribou population. See more about that innovative effort here. Quebec has some of the most at-risk caribou populations in Canada. In 2015, Quebec’s Chief Forester found that 70 percent of studied caribou habitat in the province was too disturbed to support caribou populations in the long-term. This unsustainability will only increase, the Chief Forester concluded, as “the current management strategies will provide, in the long run, a decrease the remaining habitat where caribou self-sufficiency is still possible.” Despite this warning, Quebec failed to meet the federal government’s October 2017 deadline for creating caribou range plans. Quebec did create an action plan for boreal caribou habitat management, which commits the province to take “immediate” steps to protect boreal caribou. However, Quebec set no timetables, gave little guidance as to what habitat would be protected, and set no plans for implementation. Under this plan, in November 2017 Quebec created a protected area for caribou habitat in the Montagnes-Blanches region of the province. While this is an important step, the protection plan still allows for mineral exploration and does not include certain critical habitat areas. The starkest example of Quebec’s failure to protect boreal caribou is seen in the decline of the Val d’Or caribou herd. Despite decades of warnings from that the herd was declining, Quebec took little action to protect the herd. In 2016, the herd had declined to 18 individuals, and in 2018 the province announced that it was too costly to recover the herd and that it would not take action to restore the population. Because of years of intensive industrial activities that have fragmented or cleared older forests, Alberta has some of the most highly disturbed caribou ranges in Canada. 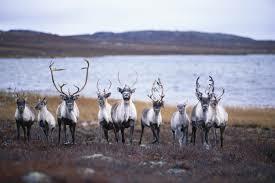 Its overall caribou population is estimated to be falling by 50% every eight years. Alberta has spent decades in research and planning processes, but has not yet produced effective habitat management plans. In September 2015, Alberta’s Environment Minister affirmed her government’s commitment to achieving self-sustaining caribou populations. However, two years later, ECCC reported that human-caused habitat loss continues to rise in almost every Alberta caribou home range, pushing them further towards local extinction. Alberta’s December 2017 Draft Provincial Woodland Caribou Range Plan presented broad ideas to restore and protect caribou habitat, but it did not include range-specific plans showing how the minimum 65% undisturbed habitat threshold would be achieved and maintained. The government has yet to produce range plans that would adequately protect habitat. In March 2018, Alberta’s Environment Minister announced they were “suspending” consideration of potential Northwest protected areas until socio-economic impacts could be determined. These are the same areas that her appointed consultant, now her Deputy Minister, identified in his May 2016 report as having minimal negative economic impacts. In March 2018 the Alberta government also requested federal funding and even more time to complete range plans, while range habitat worsens. Woodland caribou populations in British Columbia are in various states of long-term decline. The southern mountain caribou (a woodland caribou ecotype distinct from boreal caribou) are currently facing extinction in British Columbia in the near term, with declining populations across their historic ranges. The 2018 census showed a reduction of the entire southern mountain caribou population from about 4,500 last year to 3,800 this year. Two herds of the southern mountain caribou have now become functionally extinct—the South Selkirk and the south Purcell herds. Boreal caribou, meanwhile, have an estimated minimum of 728 animals across five range areas in northeast British Columbia, and are facing declines as a result of widespread habitat loss and displacement. Northern mountain caribou are likewise declining. The B.C. government missed the federal government’s October 2017 deadline to create a SARA-compliant boreal caribou protection plan, and now is insisting that more time is needed for recovery planning for both boreal woodland and mountain caribou. B.C. has drafted a recent caribou recovery strategy that will include plans for each of the province’s 54 herds. However, First Nations and conservation groups have criticized the plan for falling short on setting proper population targets, adequately protecting critical habitat, and facilitating restoration. The B.C. government also created a Section 11 Conservation Agreement for the protection of the Southern Mountain Caribou. Yet, this plan does not put any habitat protection targets on low-elevation or other key habitat that is more accessible for resource extraction. Caribou will not recover under a plan that does not protect a majority of their habitat. When it comes to caribou recovery, the B.C. government is putting forestry and oil and gas interests first, over the primary goal of caribou population recovery across the province. In response to this inaction, First Nations have led their own recovery efforts, including creating their own action plans. International demand for forest products, especially from the United States, is a major driver of the Canadian forestry industry’s continued push into undisturbed boreal forest and remaining boreal caribou habitat. The international marketplace consumes about half of the Canadian forest products by revenue, and of these exports, the United States alone accounts for more than two-thirds. Major purchasers like Procter & Gamble, Kimberly-Clark, and Ben & Jerry’s have expressed increasing concern regarding Canada’s lack of sufficient boreal habitat protections. In October 2017, these and other companies voiced their desire for “materials that are free of controversy and have been acquired through sustainable harvesting.” The companies asked for “robust caribou habitat protection plans that are grounded in science” and created in consultation with Indigenous Peoples. Today, companies are continuing to press the federal and provincial governments to fulfill their obligations to protect boreal caribou, demonstrating the international marketplace’s desire to purchase forest products that do not come at the expense of boreal habitat and wildlife. The full October letter from companies can be found here.